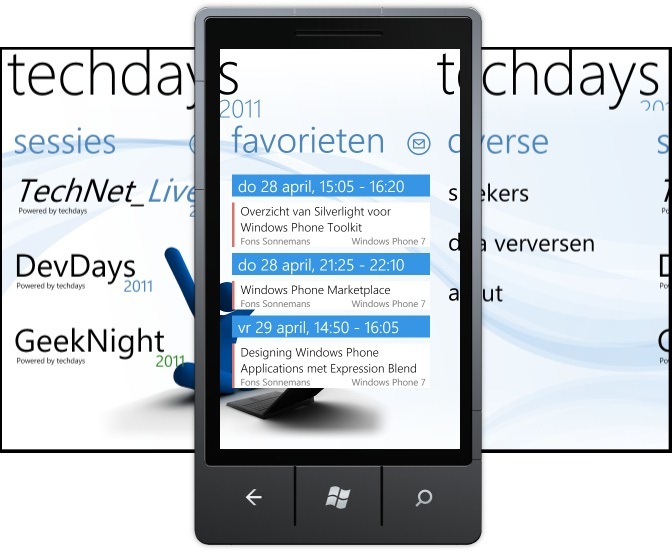 TechDays 2011 for Windows Phone delivers users scheduling and speakers information from Microsoft TechNet_Live, DevDays and GeekNight. It will be held on 26 - 29 April in the World Forum, The Hague, The Netherlands. This is an unofficial app developed by Fons Sonnemans (Reflection IT). Visit his DevDays sessions and learn how it was developed. You can download it for free from the Windows Phone marketplace.